Joe Barry is well known as a journalist on forestry matters in Ireland and bases his knowledge and experience with his own forest plantations. Woodland at Larch Hill Stud comprises small numbers of some very old Beech along with a few Scots pine and Larch which were planted in the 1700s when the old estate was originally laid out. These fringe the new woodland, which was planted in 1995 under the Forest Service afforestation scheme. The planting was designed to ensure that the new woodland would benefit the farm, principally by providing shelter while ensuring that it remained a working farm with pasture fringed by woodland. There are approximately 40 ha of woodland, the majority of being ash and ash/cherry mix with app 4 ha of oak in three sections plus app 6 ha of beech, beech/J.L. intimate mix and beech/oak mix and app 5ha of sycamore. First thinning of the ash took place app 9 years ago with second thinning two years ago and a small amount of further thinning last winter including the sycamore. Difficulty in finding a market for thinnings prompted the establishment of a wood fuel business www.logonfirewood.ie and the trees provided an ideal setting and shelter for a composting business www.enrich.ie where we take in green material and turn it in to various horticultural products. I am also sending you a species map which is not up to date and does not include all planting but gives a good idea of the general lay out of the majority of the woods and their species mix. The focus of the ProSilva Open forest day will be on thinning of young broadleaf stands using Close-to-Nature (CTN) principles. We will visit and discuss CTN principles in the pure Ash woodland and the mixed species woodlands. Depending on time we hope to carry out demonstrations on marking thinnings and hopefully, depending on numbers, have marking thinning exercises for the participants on the day. We are very fortunate to have Dr. Jurij Diaci (ProSilva Slovenia) and Reyer Knoll (ProSilva Netherlands) as the foreign ProSilva experts who will help lead the discussions on the day. Start: 11am – 4pm. Please remember to bring boots, coats and a packed lunch. A €20 donation on the day is appreciated to cover the expenses of our visiting forestry experts. Directions: ProSilva Ireland signs will be placed on the way to the farm. For Satellite navigation users, key in the townland Phepotstown, Co Meath. Exit the M4 motorway at the sign for Kilcock/Clane. Follow the Kilcock signs and after the roundabout at the Musgrave/Centra buildings head for Kilcock. Before entering Kilcock you will see a sign on your left for Trim/Summerhill. Take this road and after a few hundred metres at the roundabout take the second exit signed Larch Hill Gardens. Larch Hill is exactly 3.2 km from this roundabout -follow the signs for Dunshaughlin or Larch Hill Gardens until you reach entrance with trees and a high hedge and laurels (see sign at this point). If you reach Kilcock Autos on right you have gone too far! For others coming from elsewhere, Joe Barry’s farm is located on the main Kilcock, Dunshaughlin road, adjoining Larch Hill Gardens which is well signed and whose location can be found on their website. 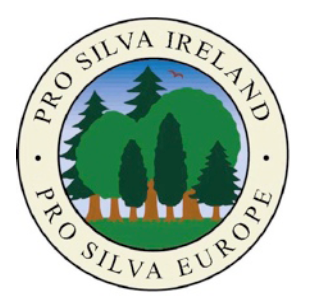 The AGM of Pro Silva Ireland will be held following the 1st Oct 2011 ProSilva Open forest day at 4.30pm. PSI is run by a committee of up to 11, of which the longest serving 2 must retire at each AGM. Nominations for vacant positions are welcome & should be submitted, in writing to the Membership Secretary, (Paddy Purser, The Membership Secretary, Pro Silva Ireland, 36 Fitzwilliam Square, Dublin 2, Ireland), or by e-mail to ptr@eircom.net by Friday 30th Sept, 2011. Retiring members are not excluded from running for re-election. The elected committee appoints a chairman, vice chairman, secretary, treasurer & other officers as deemed necessary. 2. Minutes of the previous AGM & matters arising. 4. Election of new committee members. Would welcome your advice on trees suitable for planting for shelter and enhancement in and around garden areas around home in Upper Tournafulla, Co. Limerick. Have read and kept your newspaper articles periodically and one in particular at one time was excellent from this perspective but all have been mislaid. If possible would appreciate a response.